Last year, when the salon doors had not been open for so very long, I was pleased to tell the story of Marie Clotilde of France, one half of a most happy royal marriage. 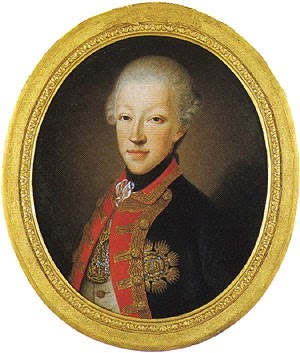 Today we meet the other half of that marriage, Charles Emmanuel IV of Sardinia, though it is not our privilege to join him at a happy time as today marks the anniversary of his abdication. Charles Emmanuel became King of Sardinia in 1796, 21 years after he began his childless marriage to his beloved Marie Clotilde. His reign was not to be peaceful for long and just two years later the French First Republic declared war on Sardinia, leaving Charles with a vastly depleted kingdom. With Clotilde at his side he travelled to Italy and settled in Naples quite happily, surrounded by friends and family. 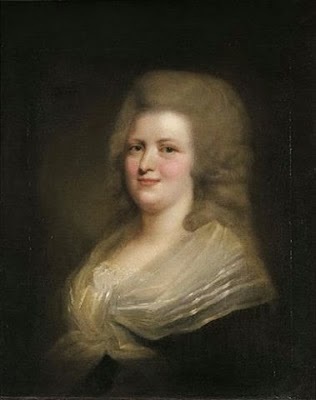 Sadly Marie Clotilde passed away in 1802 aged just 42 and Charles was so distressed by her death that he decided that the life of a king was no longer for him. On 4th June 1802 he abdicated the throne in favour of his brother, Victor Emmanuel. Charles lived on until 1819 in contemplative seclusion, his life forever changed by the death of the wife he adored.